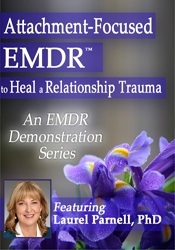 Laurel Parnell, Ph.D. is one of the world’s leading experts on EMDR. 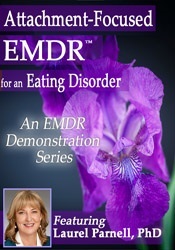 A clinical psychologist, she has trained thousands in EMDR in her international workshops. Dr. Parnell is the author of A Therapist’s Guide to EMDR, EMDR in the Treatment of Adults Abused as Children, Transforming Trauma: EMDR, and Tapping In: A Step-by-Step Guide to Activating Your Healing Resources Through Bilateral Stimulation as well as articles and a chapter in the EMDR Casebook. 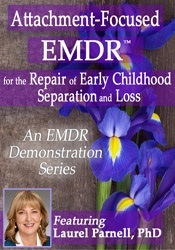 Dr. Parnell is at work on her newest book: Attachment-Focused EMDR: Healing Relational Trauma, which will be published by WW Norton in 2013. 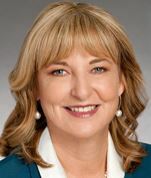 Dr. Parnell has served on the faculty of the California Institute for Integral Studies and John F. Kennedy University. An EMDR pioneer and innovator, Dr. Parnell has immersed herself in the practice and development of EMDR since 1991 bringing a client-centered attachment-focused approach to the work. A frequent presenter at conferences, she has been interviewed for television, radio and print. She maintains a private practice in San Rafael, California.